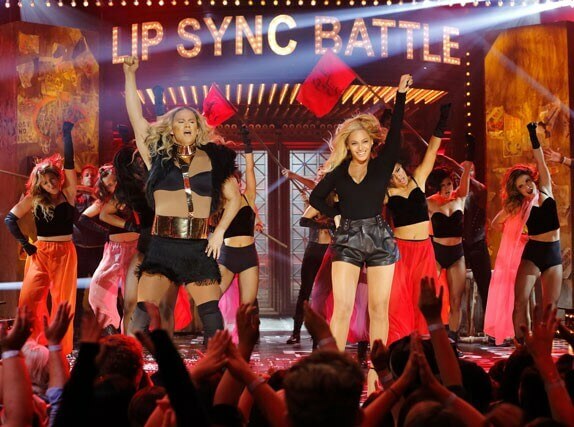 Spike TV wants more of Lip Sync Battle, renewing the celebrity competition series hosted by LL Cool J and Chrissy Teigen for a fourth season. Season three of Lip Sync Battle is currently shooting and is set to debut on Spike TV (soon to be the Paramount Network) on April 20, 2017 at 10pm ET/PT. Season four will consist of 18 half-hour episodes and will air on Paramount Network beginning in January 2018. “The entire Lip Sync Battle family is so honored and over the moon to have a home on the new Paramount Network! We’re already planning our LIVE Season 4 Synctacular Event on the fabled Paramount backlot. They may never be the same!” added executive producer Casey Patterson. The popular series ranks as the most watched original series in Spike TV’s history. The Plot: The critically-acclaimed and award-nominated Lip Sync Battle features celebrities going head to head – lip-syncing the song of their choice – battling for the coolest bragging rights on the planet.